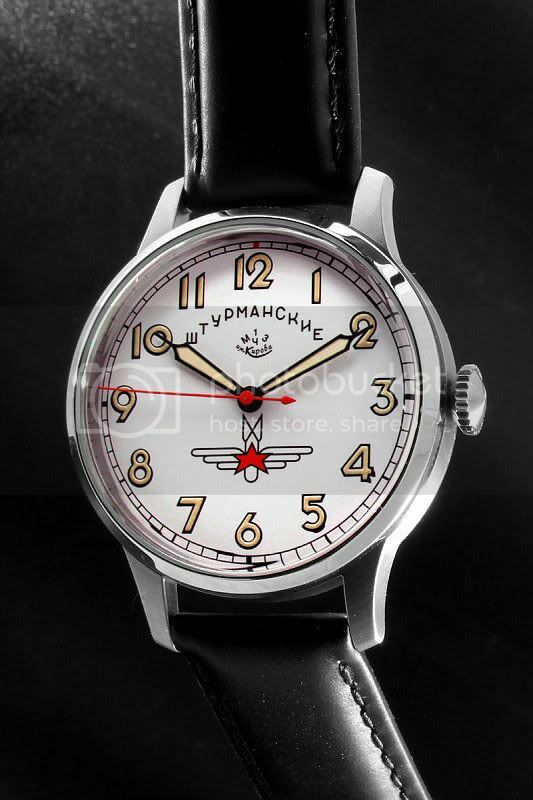 Another conmemoration of the first space flight, also being the first watch in space, Volmax is bringing out a ´50th anniversary´ model of the Sturmanskie Gagarin took around the earth. "I looked with pity not untinged with scorn upon these trivial-minded passers-by"
They look great. Even if I had one of the highly sought after originals, it wouldn't be practical as a daily wearer. I like the one with the 'aged' dial. I cannot read Spanish. Do you know how much they will cost, and what movement- hand wind 15 jewel??? The HdR LE (only 100) will be less than 200 Euros shipped. That is expected to be the price for the normal un´aged´ one too. Caliber Poljot 2609, 17 jewels. Ah, nostalgia. Of the day I went to Ringway (Manchester airport) to photograph Gagarin. He was in an open-top limo. A good photo. Sold it to The Daily Express for 2 guineas. I ran a quick search on 'Gagarin' and came up with something like 187 different threads. This seemed as good as any to tack this onto. Am I reading the article right?